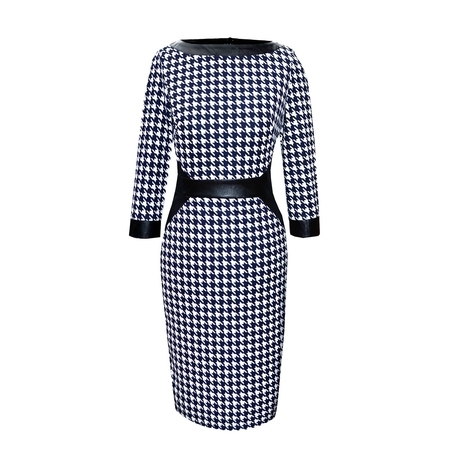 A stylish petite dress in a stretchy houndstooth fabric with leather detail to accentuate the waist. 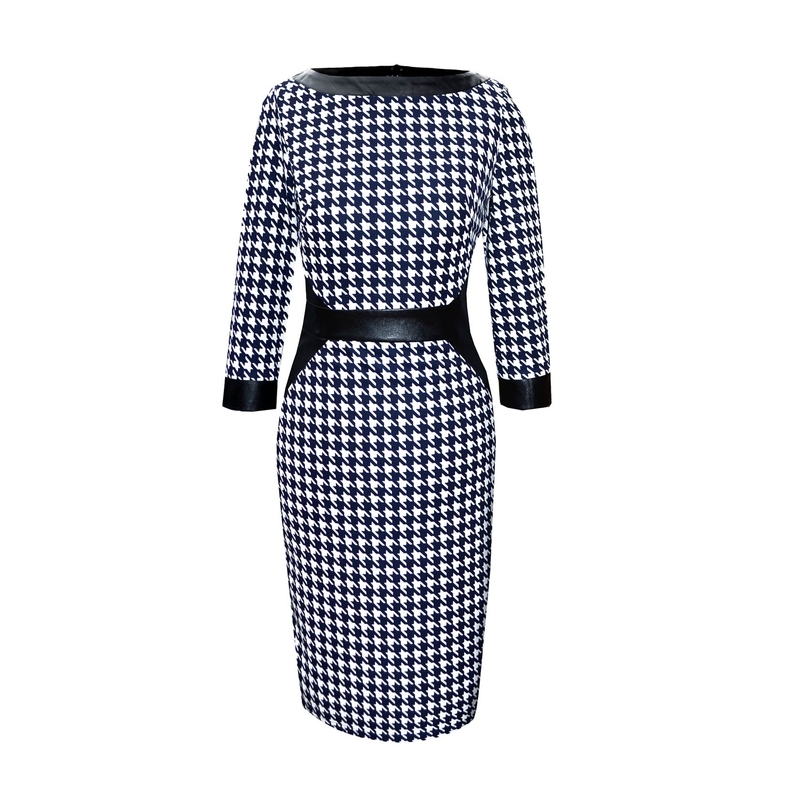 This fitted jersey dress in black houndstooth print adds modernism to a classic style with leather trim at the cuff and neckline. 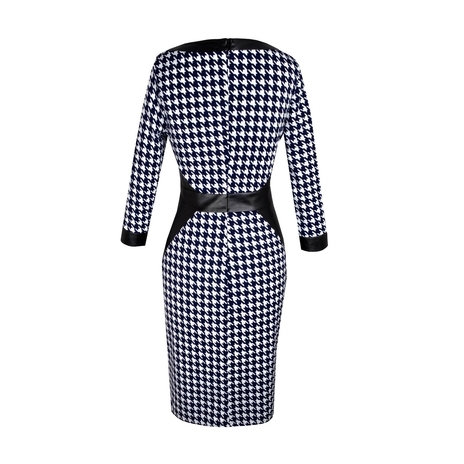 An easy to wear dress in non-crease fabric- perfect for work till evening; it features a concealed zip to the back and is machine washable, as are all Jeetly dresses. The Francesca dress is true to size so to ensure this garment fits you perfectly, please refer to our size chart. Dress length from highest point of shoulder to hemline is 90 cm. Machine wash at 30°c with like colours. Fabric is non-crease so just drip-dry on a hanger after removing from the washing machine and it’s ready to wear. Iron at a low setting if you really need to, but avoid the leather trim. Do not bleach, do not tumble dry, dry cleanable. COMMENTS : I found this dress to be a perfect fit. A very comfy dress, with stretchy lining which is a positive for me!